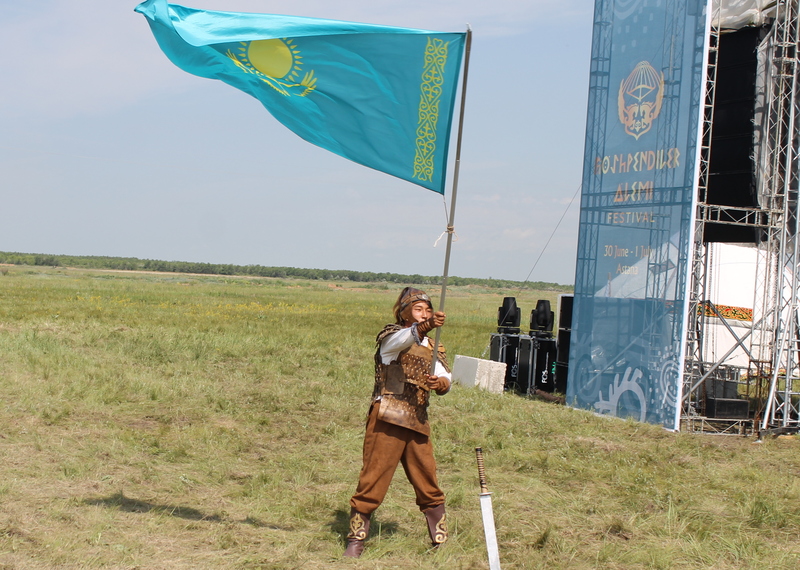 ASTANA -- Kazakhstan celebrated the 20th anniversary of Astana's status as the nation's capital with ceremonies and festivities across the country last Friday (July 6). Astana became the capital in December 1997, replacing Almaty. Security was tight at concerts marking "Day of the Capital" in both Astana and Almaty, AFP reported. In Astana, the entire day was filled with festivities, including an appearance by Kazakh performers in the city square, a dance performance, free ice cream, a wind instrument concert and dozens of other events. "This is a sort of endless holiday," Astana resident Nurlan Jorasbayev, 30, told Caravanserai. "We go from one place to another. We've already been to a concert and have been on the embankment. Now we're waiting for the evening fireworks." During Friday's celebrations, Astana hosted games of kokpar (a nomadic game played with a goat's carcass, also known as buzkashi), an international music festival and other festivities. The Astana International Financial Centre (AIFC) opened its doors July 5. President Nursultan Nazarbayev presided over the opening of the AIFC, which aims to ramp up international investment in the energy-rich economy. Nazarbayev has described the centre as unique in the ex-Soviet region since it will operate on an independent legal structure based on English common law and will be overseen by Lord Harry Woolf, former chief justice of England and Wales. The International Festival of Nomadic Culture 'Koshpendiler Alemi' put the spirit of nomadic culture and pastimes on display. 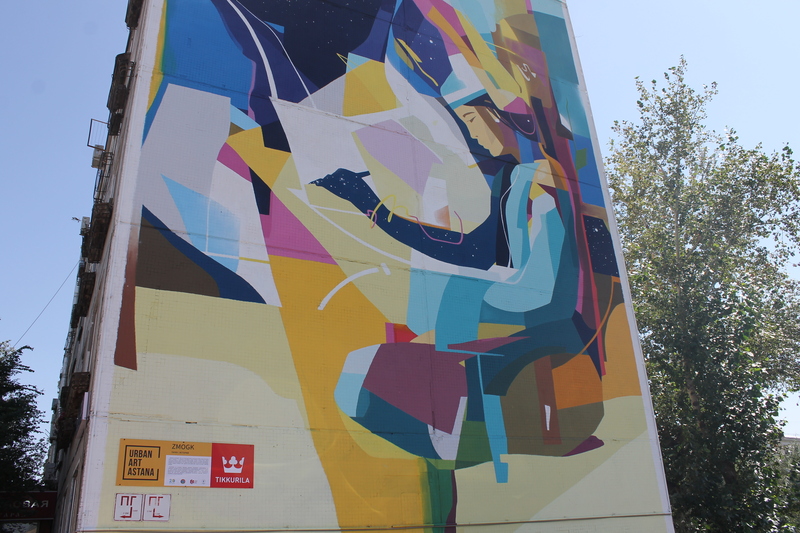 The artwork has 'enlivened the city', said one comment online. 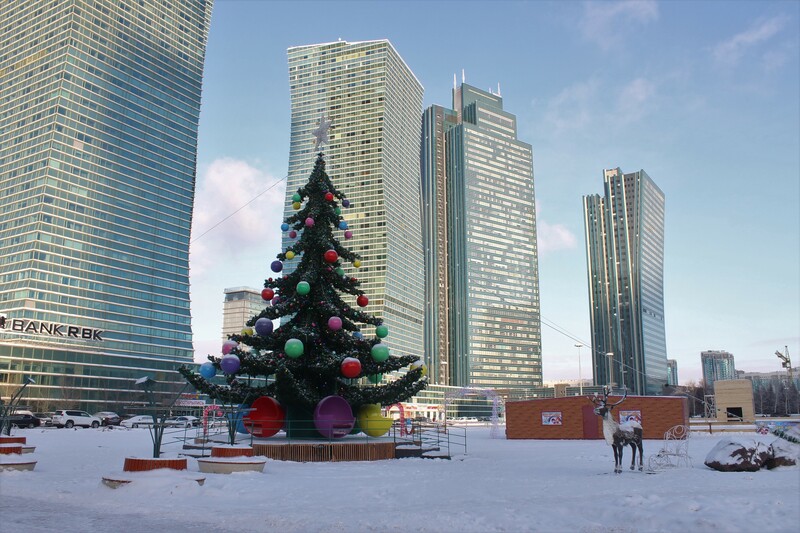 Kazakhstan's cities are dressed up for the upcoming New Year, with preparations under way to say good bye to the old year and to welcome 2019.